I need some help figuring out how to solve a certain problem. I want to connect a pedal to the Axoloti in order to trigger FX/sounds. However I don't have a MIDI keyboard connected to that axoloti and want as little additional hardware as possible. So the finished product should be only the Axoloti and some kind of cheap guitar patch switching pedal connected to it at best. I've been thinking about that for days but cannot come up with a solution that doesn't cost a hundred bugs. I'd be grateful for your thoughts! Do you have a pedal already that you want to connect? Most pedals, as far as I know, are either an on-off switch, or a potentiometer. Either of those is easy to hook up to axolotis I/O pins directly. It will require soldering some wires on the Axoloti, and connect them to a jack socket, but it's easy work. If you can share what kind of pedal you have in mind, I can probably give some instructions how to wire it up. 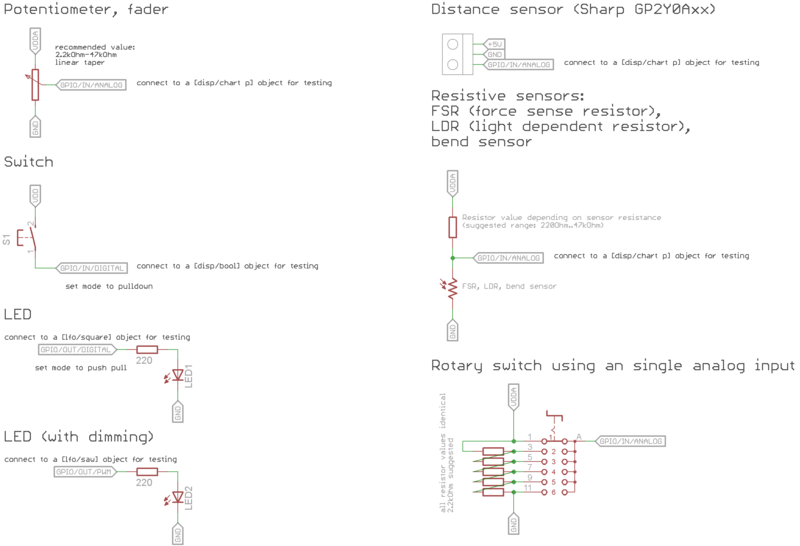 Either the "Switch" or the "Potentiometer" schematic applies, depending on the type of pedal. What remains is to figure out how the jack is connected internally to the potentiometer. Thank you for your quick reply. For starters I've got a M-Audio SP-1 Sustain Pedal. Though I have no experience in soldering anything I'd be interested to know how it would theoretically be done. I worked on connecting the foot pedal of my old Behringer V-Amp this afternoon. The only thing you need to solder to the Axoloti is a Neutrik stereo jack input. You can get these for around €1. Connected my Behringer V-Amp foot pedal to the Axoloti. This will be fun for looper + overdub patches. 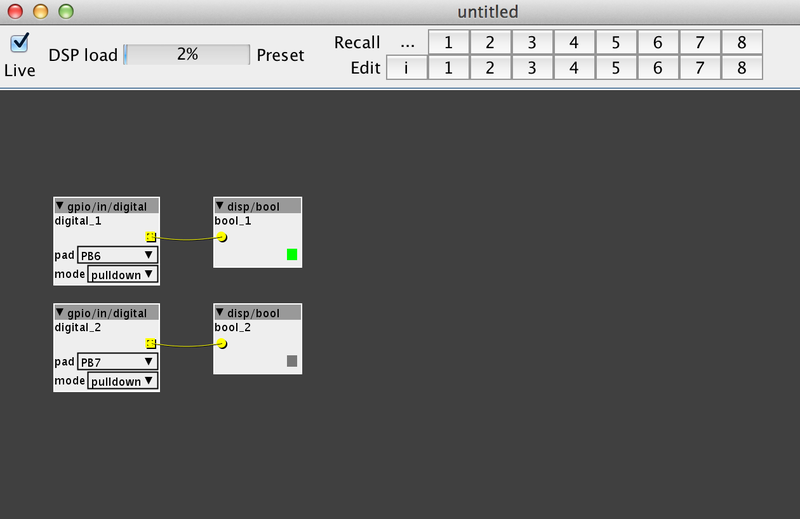 The patch uses to gpio/in/digital objects, mode needs to be set to pulldown. I'd rather NOT open the pedal in order to see how is the jack connected to the pedal/pot's pins. So my question is: Can this be done without opening the pedal? For example, I have a cable that came with the pedal which I understand is simply a stereo jack cable. 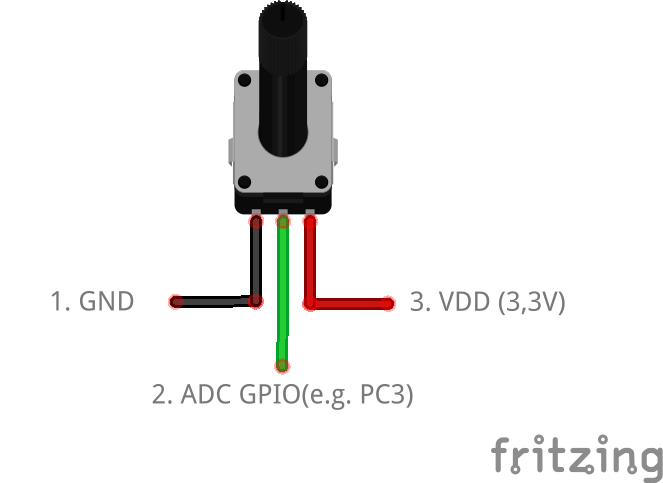 I haven't looked at the soldering but, can I assume the ground, longer part of the plug is connected to the pot's ground, and the other two should be either VDD or GPIO ? Can I discover those two by trial and error? Or do I risk frying the pedal or the axoloti? Could I actually do trial and error for all three cables ? I found a random source saying that "The Moog EP is powered from the ring and uses the sleeve as the ground." So I would try that first, but just in case I still would like to know if something can go wrong by connecting it wrong.